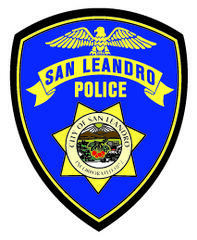 On Thursday, March 21st, 2019, members of the San Leandro Police Tactical Operations Team were called to a barricaded subject at the Springlake Village Apartments on Sweetwater Drive. The incident began yesterday afternoon around 3 pm when officers were dispatched to the subject's apartment after reports that he was behaving erratically and throwing objects from his second story balcony. Officers attempted to engage with the subject who refused to come outside. The subject appeared confused, distraught and began throwing furniture items over his balcony. Officers learned that the subject had a history of mental instability and had not been taking his prescribed medication. Officers contacted the subject’s girlfriend, who was not at home, who confirmed the subject was alone inside his apartment and that no one was at risk of harm. Based on this information and after hours of attempting to reason with the subject, officers decided to walk away from the situation since the subject's erratic behavior subsided, and technically no crime had been committed. A few hours later, just before midnight, officers were called back to the apartment by the girlfriend who stated she had been assaulted by the subject. Officers arrived and found the girlfriend outside suffering from several head and face injuries. The male subject could be heard in his apartment yelling and again began throwing large items out of the apartment, including the appliances.The officers moved to safety and immediately called for paramedics to care for the female. In the meantime officers again attempted to contact the subject using a megaphone and other means. The subject refused to talk to police or surrender. Due to the subject's dangerous and unpredictable behavior, and the crimes he committed against his girlfriend, the San Leandro Police SWAT and HNT (Hostage Negotiations Team) teams were called to the scene. Officers also obtained a warrant for the subject's arrest from an Alameda County Judge. Several hours into the incident, all attempts to extract the subject from the apartment had failed. Around 5 am this morning, SLPD SWAT team members entered the apartment after the subject barricaded himself in his bathroom. A police canine located the subject in the bathroom who then began beating the police dog with a wood stick. By the time officers entered the bathroom, the subject had taken a broken piece of glass and began cutting his own neck. SWAT officers quickly engaged the subject and were able to stop him from further harming himself. Once the subject was detained, a SWAT medic immediately provided first aid to the individual. The man, a 42 yr. old white male, was taken to a located hospital for treatment and psychological evaluation and once cleared, will be taken to jail. "This was a long and tiring effort by officers to safely detain the subject so he could receive the help he desperately needs," said San Leandro Police Lieutenant Isaac Benabou. These are some of the most dangerous calls our officers have to handle. Patience, strategy, and restraint are the keys to a successful outcome. We are thankful that no one was seriously hurt." The subject remains in a local hospital under police custody.